When an eccentric outsider joins their little circle, secrets unravel, changing everything – and leaving one of them dead. 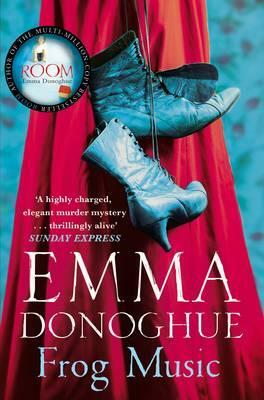 Born in Dublin in 1969, Emma Donoghue is an award-winning writer, living in Canada with my family. Her latest novel is Frog Music, a multifaceted murder mystery set in San Francisco, 1876. Her other novels are the international bestseller (shortlisted for the Man Booker and Orange Prizes) Room, The Sealed Letter, Landing, Life Mask, Slammerkin, Hood and Stir-fry; short-story collections Astray, Three and a Half Deaths (UK ebook), Touchy Subjects, The Woman Who Gave Birth to Rabbits, and Kissing the Witch; and literary history including Inseparable, We Are Michael Field, and Passions Between Women as well as two anthologies that span the seventeenth to the twentieth centuries.